Deep Kicks & Stabs is a collection of 128 analog kicks and stabs synthesized from the ground up for the Elektron Analog Four / Keys synthesizers. This soundset was created with the idea to recreate the sound of classic house stabs, but using the modern analog engine of the Elektron Analog Four. With Deep Kicks & Stabs we have utilized many features of the Analog Four synth engine, such as different envelope shapes to get the snap sit exactly right, using the qualities of each of the two filters - including the overdrive - and finding the right intervals to create nice buzzing sounds with the oscillators and AM modulation. 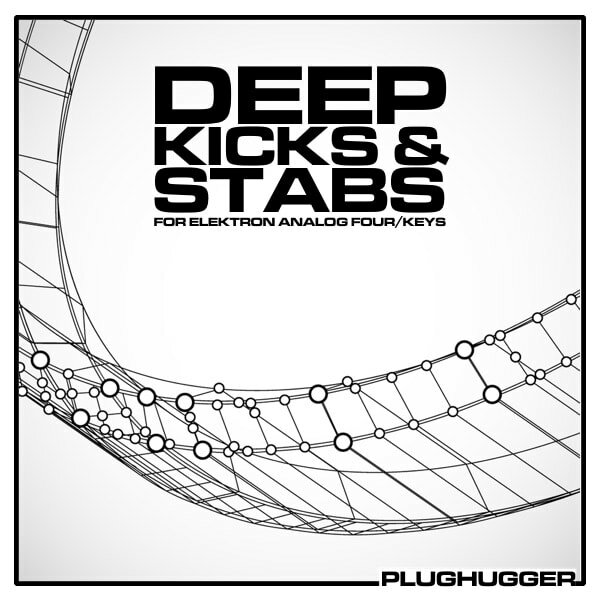 Deep Kicks & Stabs for Elektron Analog Four / Keys includes 107 stab sounds and 21 bass drums. PLEASE NOTE: All the sounds you hear in the demo is included in the soundset. All sounds are 100% royalty free. Name: Deep Kicks & Stabs. Requirements: Elektron Analog Four / Keys. Style: Deep House, Classic House, Tech House, Progressive House, Techno. IMPORTANT - This product contains presets for the Elektron Analog Four/Keys hardware synthesizer. This soundset does not contain any audio files. Please check out the FAQ before buying.